The TEGAM Model 1727A is a general purpose broadband amplifier that operates over 100 kHz to 26.5 GHz frequency range. 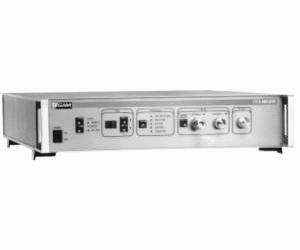 This amplifier is capable of providing additional power and gain to compensate for system RF path losses and improve system measurement capabilities. It also provides the capability for automated switching between two generators providing output over a range of 100 KHz to 26.5 GHz at a single output port. Model 1727A Amplifier functions are controlled over IEEE-488 bus or locally using the instrument front panel controls.